What are some of the vocations that I might be called to follow? Many people are called to the vocation of marriage, while others may be called to the vocation of priesthood, to consecrated life as a Sister or Brother, or to the Diaconate. Equally, Christ calls some to the commitment of single life. Remember: It is normal to desire marriage and family. 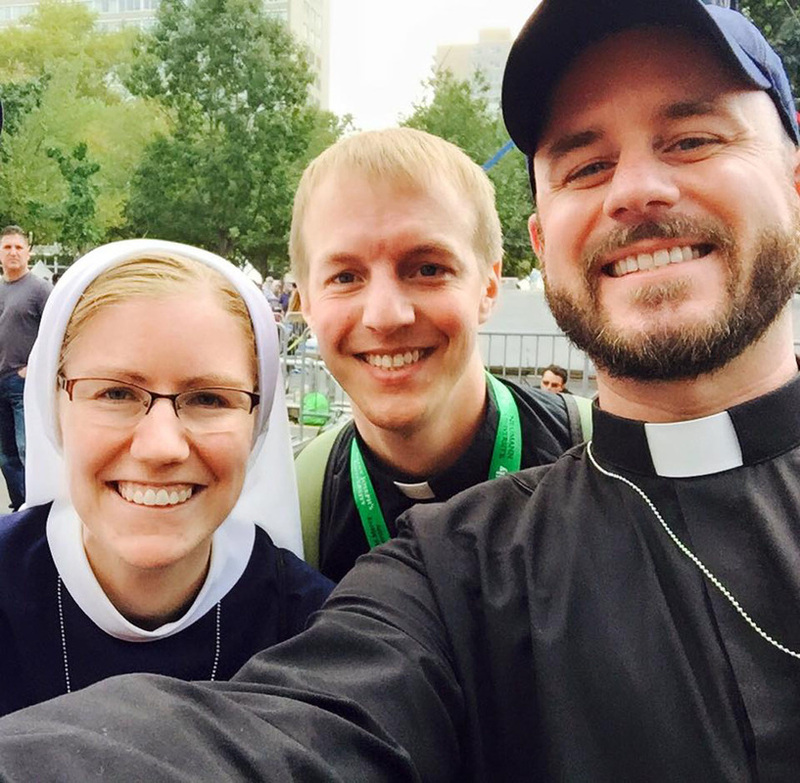 Just because you have this desire does not exclude the possibility that you have a vocation to priesthood or consecrated life. - Benedictines Sisters, Carmelite Nuns, Congregation of Our Lady of Sion, Daughters of the Heart of Mary, Dominican Sisters, Franciscan Sisters, Good Shepard Sisters, Immaculate Heart of Mary, Little Sisters of the Poor, Living Word Sisters, Mercy Sisters, Missionaries of Charity, Poor Clares, Presentation Sisters, Pro Ecclesia Sancta, School Sisters of Notre Dame, Servite Sisters, Sisters of Charity, Sisters of St. Agnes, Sisters of St. Joseph, St. Peter Claver Sisters, Visitation Nuns. -Benedictine Monks, Brotherhood of Hope, Carmelite Hermits, Carmelites of Mary Immaculate, Christian Bothers of the Midwest, Columban Fathers, Congregation of the Sons of the Immaculate Conception, Congregation of the Mother Co-Redemptrix, Dominicans, Franciscan Brothers, Jesuits, Marists, Maryknoll, Misioneros Oblatos de los Sagrados Corazones, Missionary Oblates of Mary Immaculate, Paulists, Pro Ecclesia Sancta, Servants of the Eucharist and Blessed Virgin Mary, Society of Christ.